We just returned from the DR with one of the largest groups we’ve had to date! 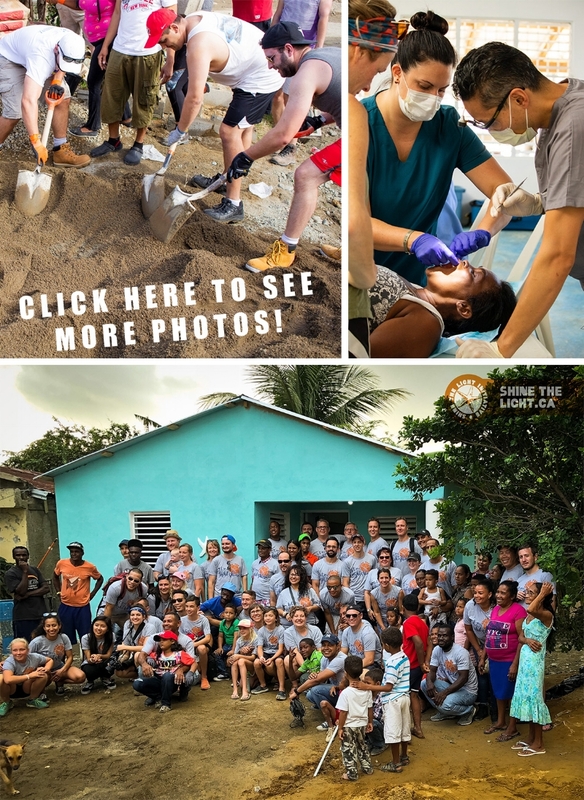 38 volunteers which consisted of a large percentage of the staff from Fort Group Chartered Professional Accountants and Dr Brent, Dr Brian, Timo Gerzen a denturist from Steinbach, and a handful of Shine staff and family. The week was jam packed - the main project was building 2 houses for deserving families in the community. The first house was for Arleni, Edison and Arlison. The second house was for Mari, Carlos, Escarly and Jayden. Want to impact your family and a family in the DR? Consider Joining us for our January trip! “We embarked on a trip to leave a positive impact on the El Javillar community yet came home even more impacted ourselves, with a new sense of community and teamwork." We can only imagine the excitement they have experienced in their workplace and word is, there may be more to join us next time! Maybe you are interested in exploring how your workplace could be a part of a trip? We’d love to help with that. Email us at info@shinethelight.ca, we’d love to connect. Last month we told you that we've partnered with Freedom School International, a downtown school that teaches literacy to high school aged newcomers to Canada. And we asked for help donating some winter gear for the teenagers that attend the school, and we were so happy so many of you participated to keep these young kids warm this winter! So everyone who donated was entered in a draw to win a Thermëa Spa Package, and the winner was Mary W - congrats!! Thanks to everyone who contributed, it is so appreciated! Want to join a STLi trip in 2019? a STLi trip could work for you and your family.